Two works by John McCabe have just been reissued, 44 years after they were recorded, in 1973, in a boxed set of the complete recordings of the outstanding conductor, Louis Frémaux, with the City of Birmingham Symphony Orchestra. Originally on the HMV label, and later re-released by EMI, they now join works by Berlioz, Poulenc, Walton and others in the Warner Classics 12-CD Frémaux commemorative set, 0190295886738. The CBSO and Frémaux gave the premieres of both the McCabe works, one the well-known, luxuriantly orchestrated song-cycle, Notturni ed Alba, for soprano (Jill Gomez) and orchestra, which was a Three Choirs Festival commission; the other was his Second Symphony, which was written in 1971, shortly after the great success of Notturni ed Alba, a Feeney Trust commission for the CBSO. 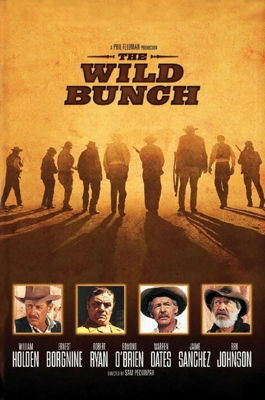 The symphony caused considerable consternation at the time, as John pointed out that the source of his inspiration was the notorious Sam Peckinpah Western, The Wild Bunch. The reason for the film’s notoriety was its considerable violence, and John wrote a lengthy article, entitled ‘The Film behind the Symphony’ detailing his feelings about the film (which he considered a work of great art) and his reasons for writing the symphony. One was that he felt the film did not glorify violence in itself, but was a genuine tragedy, both regarding the central character, and also in its depiction of the human race’s tendency towards cycles of violence – an idea which is as relevant today as it was then. Another reason was the thoroughly ‘musical’ shape of the film, which he regarded as almost symphonic. The Wild Bunch drew out an almost visceral response from the composer, then aged only 32, and is among his finest compositions. It may not be generally known that John McCabe had a deep interest in, and almost encyclopaedic knowledge of the cinema, including not only American and British films, but also European, Japanese and classic Indian films. The Second Symphony was one of at least three works to be inspired by film, another being his Piano Quintet, The Woman by the Sea, in which the inspiration was Kenji Mizoguchi’s tragic take on a mediaeval Japanese story, Sansho Dayu, a recording of which is due to be released by NMC later this year.